After the briefing on Monday afternoon you will leave our harbor and sail first some miles on the Van Harinxmakanal, here you can get in touch on this wide canal a little with your rented ship. When you reach channel kilometer 22, turn north into the "Kleiroute" and reach Berlikum, the first place to stay. 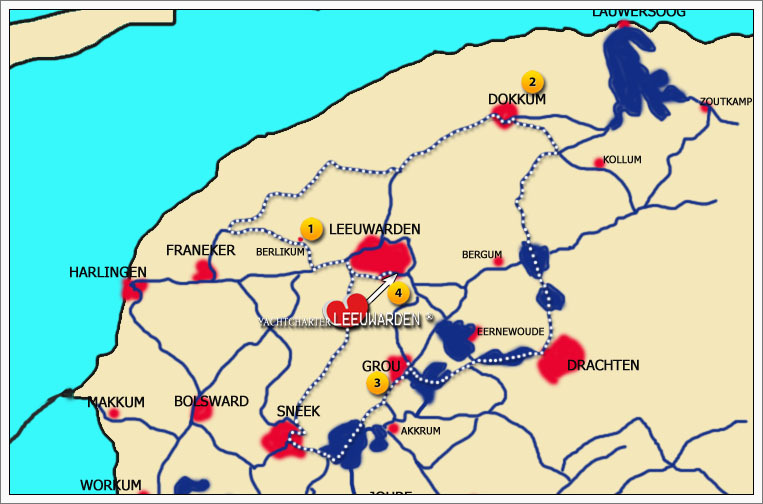 The following day it goes by Bartlehiem to Dokkum (This last section of the Elevencities route was opened in June 2013 after many adaptations of the waterway for boats with max. 2.40 m headroom and 1.30 meters draft). Tip: In Dokkum They are especially beautiful places to stay the night at the Bulwark among the windmills. On Thursday, first a little southwards to Sneek then on the Sneeker Trek Vaart and in the evening you are back in back in our harbor. Shortweek sailing in the North of Friesland with family : Berlikum - Dokkum - Grou - Leeuwarden. 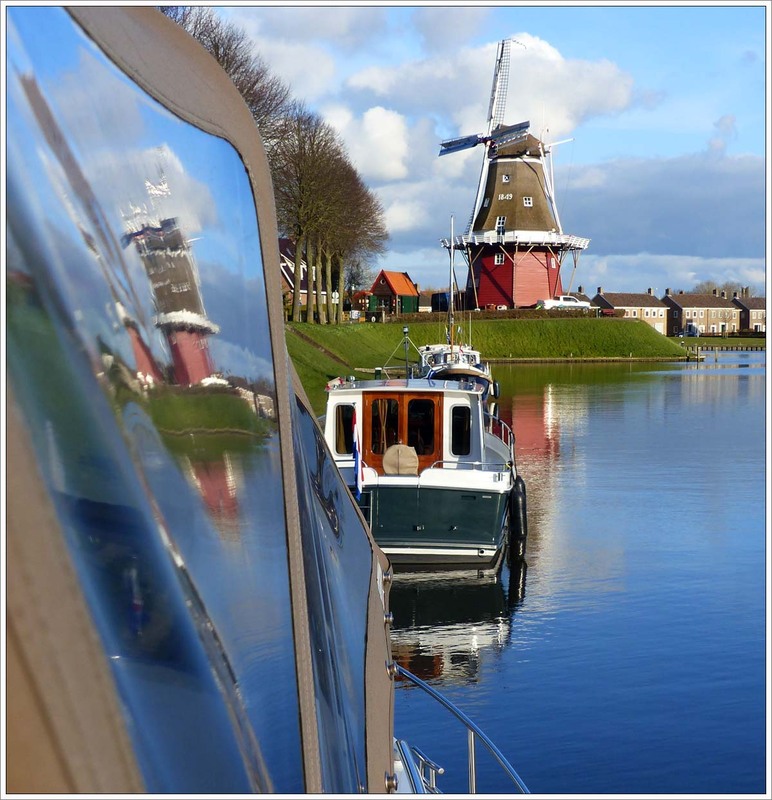 Cruising dutch waterways and lakes by motor boat, Canal barges hire, narrowboat ,Canal cruise on dutch inland waterways, Boating holiday by Yachtcharter Leeuwarden - Dutch Yacht Charter, Boating holidays an Netherlands inland waterways. Shortweek sailing in the North of Friesland with family. Barge holidays and cruise vacations on frisian canals. Our luxury barges offer all the comforts of home while, cruising on the water. Shortweek sailing in the North of Friesland with family : Berlikum - Dokkum - Grou - Leeuwarden.